The days are getting longer and the sun has some real warmth to it now. The last few days of February are at last drawing to a close and we enter my absolute favourite time of the year. The days are getting ever longer and the sun has some real warmth to it now. The promise of the growing season stretches out ahead of us as the green shoots of spring begin to emerge. The greenhouse is now a bustling hive of industry with tray after tray of seedlings shoulder to shoulder on the staging. 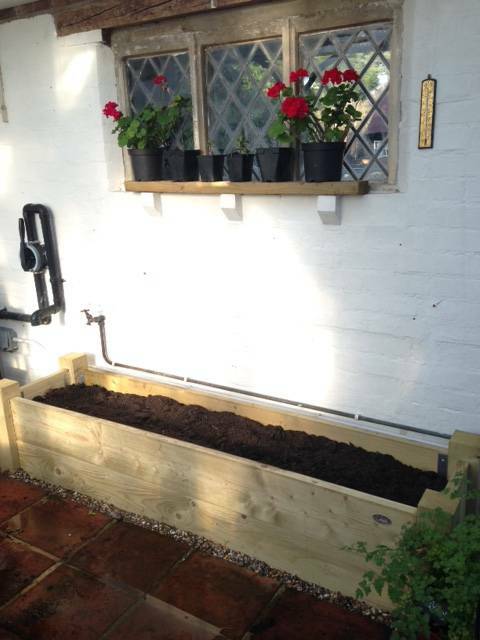 Greedily, we have two heated propagators installed as we are growing our own summer bedding this year as well as the vegetable crops. 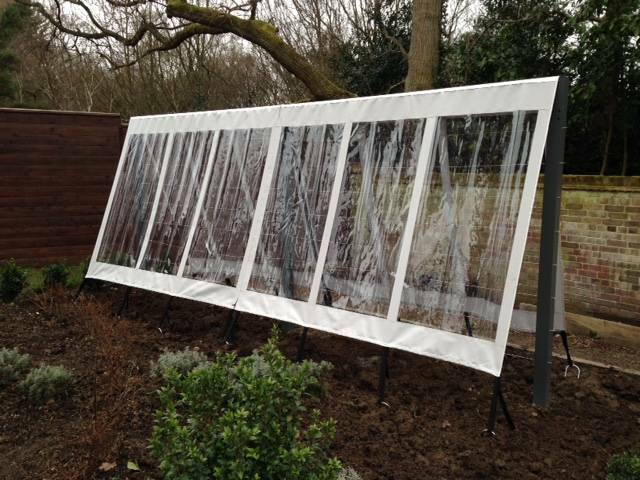 Early crops, such as tomatoes, peppers, chillies, celeriac, aubergines, peas and celery are growing well in modules. They have been joined by chard, spinach, rocket, basil and tarragon, along with further sowings of different varieties of tomatoes. We’ve also been sowing seeds outside this month. Earlier in the month we sowed parsnip seeds in our allotment raised beds. It’s a little early in the season to sow them but with the mild conditions it is worth doing. We will make a successional sowing at the beginning of March. We always have great success with our parsnips in a raised bed. Year after year they reward us with big fat parsnips for our Christmas dinner. We have also sowed early carrots and beetroot into raised beds and covered them with a cloche to protect them from the winter conditions. 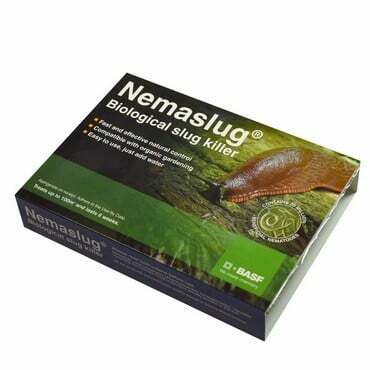 Probably the most important job on the list this month was to order our nemaslug for the growing season ahead. The first dose normally arrives in March when the soil temperatures rise above 6 degrees. This winter the soil thermometer was reading 8 degrees at the start of February. In combination with the amount of rainfall we have had, I am anticipating a bad year for slugs and getting all my defences in early. We are already well stocked with copper tape and slug pellets and will be doing our very best to win the battle for hole-free veg! This month, we installed a new raised bed in our greenhouse border. Over the past couple of years our tomatoes, grown in the border, have not performed as well as we would like. The border is dug over every year before planting, with lots of compost added. However, the hedges surrounding the greenhouse send roots into the border stealing all the goodness and moisture from our crops. 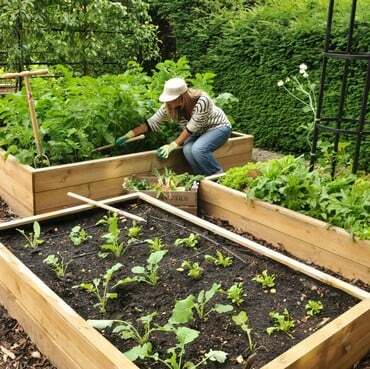 Raised beds are a perfect solution to problems spaces such as this. Placing a raised bed onto the space will give more soil for our tomatoes to send their roots into without sharing it with the hedge. An added bonus is that it looks amazing too! It will make a perfect seed bed while it is waiting for its tomato residents. Later on we will add a slot and lock frame for the tomatoes to be trained up. Other jobs we have completed this month include giving our garlic crop a good dose of sulphate of potash. This will help give it some added nutrients to provide a healthy crop. So far it is growing well, but in the past couple of years we have suffered with rust. Hopefully we will avoid it this year. We’ve also given our mint plants their annual division. Dividing the plants will give them new vigour and provide lots of luscious new growth for use in the kitchen and it always leaves us with lots of new plants, so we suddenly become very popular with our friends! In other parts of the garden, it was time to prune the wisteria. We have a lot of it growing here, so it is always a big job. 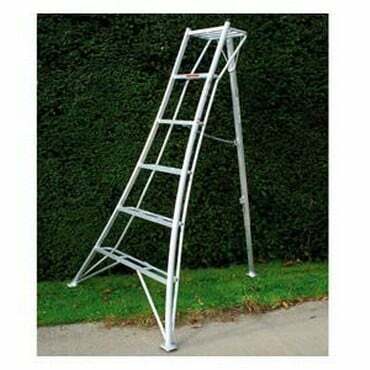 On a cold but sunny day, we spent a whole day up a ladder pruning the side shoots to 3 buds, and tidying up the plants to help encourage them to flower. A deeply satisfying job that will be rewarded by fabulous blooms in the summer. The most exciting event of the month came when we planted out our new peach and nectarine trees. 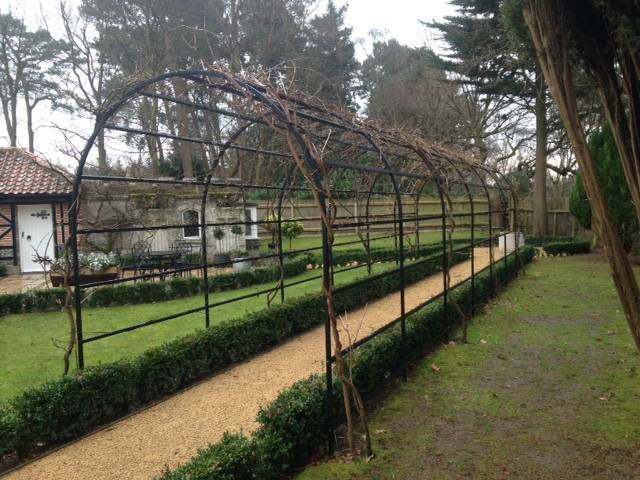 We took delivery of the trees earlier in the winter and have been caring for them in the greenhouse while their new bespoke growing frame was designed and assembled. This is a first for Stephanie’s garden as we haven’t grown this type of fruit before and we are looking forward to the challenges and rewards they will bring. Peaches and nectarines need to be grown under a cover at this time of year as rain splashes can cause peach leaf curl. Our new frame and cover will get them off to a happy start. Test the PH of our soil and apply lime where needed. Apply our first Nemaslug of the year. Continue sowing and pricking out seeds. Our 108 page Spring catalogue is out now and is packed full of gardening ideas and products to solve the problems every gardener faces, plus plenty more seasonal ideas for harvesting, storage and preserving solutions.